True Budo calls for protecting the peace of the world. O Sensei was a reader not a writer. So there are not that many sources that are actually written by him. Most of his teachings have been transmitted orally through the lessons of his students or others that have known him close. Or were lectures given by O Sensei that were written down by his students or others as his scribes. This may sound strange to some, but many great thinkers did not leave anything or very little in writing behind; Socrates, Heraclitus, Jezus, Buddha and many others, yet their thoughts have had a profound influence on humanity. So this may or may not be a direct quote of the founder. More important is the question whether or not statements like these reflect the ideas of the founder. The first statement seems obvious, nobody practices Budo in the hope one day to kill a person. Budo is often translated with "the way to stop fighting" . The second reflects his criticism on the military before and during the war and militarism more in general. The third sentence reminds of his prayers for world peace. Nature and nature preservation was a very big issue for the founder. He helped to preserve several areas as nature reservations. Meaning of the word Aikido. Most practitioners translate the word Aikido by looking at the three separate characters with which it is written: Ai – to meet, to join, to blend. Ki – air, breath, spirit. Do – path, way. But more correctly it should be read like Aiki Do (Aiki no michi), the path of Aiki. Then what is Aiki ? It would take some pages to give a full explanation, but in short there are roughly two ways of understanding it. One is often considered as the old way; Aiki is any manner by which you can lead the opponent into a situation that is an advantage for you, but a disadvantage or even a trap for the other. It usually involves a way of predicting the next move of the opponent, and being able to read and guide his intent. To be able to apply this strategy in a fight or a warlike situation is of course important to every warrior. We can find examples of this kind of strategy throughout history and in almost every culture. The other way of looking at the meaning of Aiki is sometimes referred to as the new way or new Aiki. Without denying the first approach of Aiki it now gets a broader meaning; if one can use Aiki to defeat someone would it be possible to use Aiki as a way to reconcile with someone ? When the answer is yes, Aikido becomes a Budo of peace, of reconciliation, of empathy, of freedom, of creativity. To the founder of Aikido this was the ultimate goal and essence of his art. I share in the criticism on Aikido in that it is nowadays practised by many in a way where both aspects of Aiki are neglected or even have gone lost. In most discussions about Aikido the emphasis is on Aikido as a martial art i.e. as a form of self defence or as a sport. 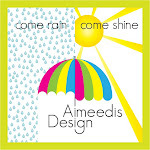 Or as a movement art for fun. In part caused by the fast popularisation of Aikido, it has come to a point where it runs the risk of becoming an empty shell. It may still be fun to do, it may be sensational to look at, but the essence of the art is gone. Fortunately there are still several dojo and sensei that do teach Aikido with an emphasis on the traditions, the philosophy and one or both approaches of Aiki. There are many different styles of Aikido. I not only think that this unavoidable with such a great art, but I think it serves a purpose; not everybody moves in the same way, not everyone has the same kind of body, not everybody shares the same interests. So some styles are more suitable for people who moves lightly and fast, while other styles are more suitable to people who are more heavy or move slower. Some styles are more into form; even the smallest details seem to be of the utmost importance. Some styles emphasize a freedom of movement, this may mean that you have to try to figure out the details for yourself. Some styles emphasise principle; it is not so much about form, but about experiencing and embodiment of principle. Some styles see Aikido more as a sport, and may even have added a form of competition to it. Some styles emphasise the philosophical aspect of Aikido. Or practice some aspects of Shinto. Some styles practice Aikido in combination with other disciplines like gardening (as the founder did). 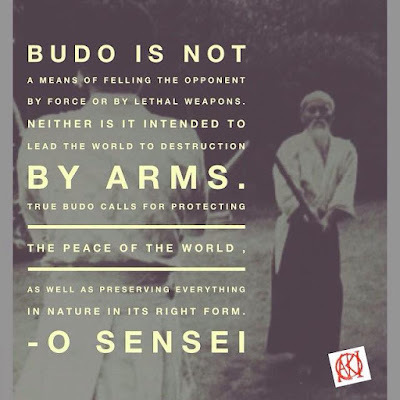 What they all have in common is that they practice a Budo and movement art that can be traced to the same founder; Ueshiba Morhei sensei ( or more commonly known as O Sensei). Ever since I started practicing Aikido, now many decades ago, I have come across groups that were claiming to practice Aikido but were in fact doing something totally different. The first Aikido instructors I came across were originally Judo instructors, that would teach Aikido from a book that they had bought. However, some of the techniques in the book did not really “work” according to them, so they would change the technique. Tenchi nage would become a leg throw, Ikkyo a hip throw and so on. Others with less Judo experience would mix their Aikido lessons with yoga, zen, sensitivity-training, dance, music, singing, ... I found groups that were practicing Aikido-like movements wearing white dresses, turbans or orange clothing. Anything could be Aikido, or so it seemed. In those early days it was very hard to find a real Japanese dojo (the concept seemed unknown to most instructors) where they practised the original Aikido that I was looking for. I was specifically interested in the principle of Aiki – but to my surprise none of the instructors that I met were familiar with it. In fact, I met boxers, kickboxers and practitioners of Chinese martial arts that knew more about Aiki than the Aikido instructors I had met. I was fortunate to meet several excellent Japanese Aikido instructors, many of whom were taught by the founder of Aikido and had known him personally for a long time. They were able to guide me in the direction of true Aiki. In Europe I visited many different Aikido dojo, went to many Aikido seminars with Japanese shihan and later organised a number of international Aikido seminars in my own dojo. During my stay in Japan I met with students of the founder that had been teaching Aikido for a very long time. I also met with several people who did not practise Aikido, but who remembered the founder from shared visits to local shrines or Shinto ceremonies. I visited the same shrines and temples as the founder had visited regularly. All these experiences in Aikido and related arts have deepened my understanding of Aiki. It has also made me see that what is practiced as Aikido in Japan is not in every aspect the same as what is being practiced as Aikido in the West. Having said that, I do think Aikido has developed a lot since those early years. Most instructors are better skilled than the first generation of instructors, the concept of a dojo is better understood, there is more knowledge available about the tradition and philosophy of Aikido. And some of the principles of Aikido have influenced in many different way other disciplines or have lead to new methods of body-mind movement. Aikido is an evolving art and the practitioners and instructors are evolving as well. As the founder pointed out, “techniques do not have a fixed form”. What could be right in one situation, might be wrong in another. That can make Aikido a bit complicated or even overwhelming at times. Fortunately there are many experienced senior teachers that have dedicated their lives to deepen their understanding of Aikido. They offer guidance for future growth. 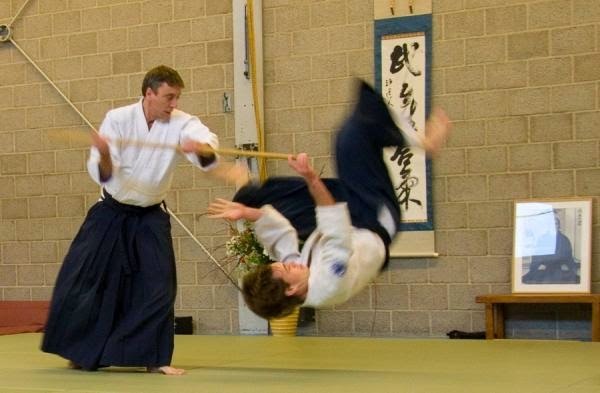 In most countries Aikido is organised in the same way as sports are organised. Often there is one umbrella organisation for all the Aikido associations. And not much different from other sports organizations, the associations and the umbrella organisation do not really have a democratic structure. The leading instructor of an association is usually also a member of the board of the umbrella organisation. Conflict between the different instructors may lead to new national umbrella organisations. When one chooses to connect with one organisation it also often means that one is forced to take sides. It has always been one of my main reasons to stay away from Aikido politics. As we sometimes see in other disciplines as well, one is often not appreciated for one’s merits, but rather for one’s political positioning. The downside of this is that all too often the most skilled and knowledgeable are not recognised, while those that are politically active, even though they may lack the knowledge and skills, are put in the foreground. Not recognising the persons that should be recognised based on their experience and dedication can lead to tensions between associations and even a split off – which has happened in the past in many countries. In some cases where we talk about a different style, it is not because of a different method of training, but merely because that particular dojo or group decided to split off from the main organisation. 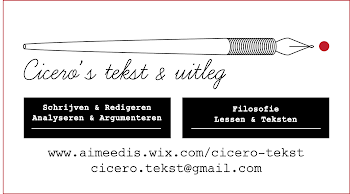 Only on rare occasions do we hear of a group that claims to practice Aikido but in fact has moved away from even the most basic principles of Aikido (I know of at least one such Dutch group, I have heard a of few groups in other countries as well). The behaviour of such a group shows much in common with for instance a cult or with conspiracy theorists. They regard their belief system, ideology, and practices as the Truth, as Law. Everybody else has got it wrong. In the case of Aikido it most commonly is about propagating a principle like Ki or Aiki or Center that they claim can only be understood by following their classes or their instructors. They usually follow a particular leader that is in strict control of the teaching or practices, but this may also be a small group of leading individuals. These leading individuals are repeatedly complimented as being the best, the only, the greatest, even at awkward moments where for others this would seem out of place. It is a way of acknowledging the other as one of the leaders. The group has a polarized us-versus-them mentality. Criticism is not tolerated, not from outside and neither from inside the group. They are not accountable to any authorities, nor do they accept expertise that comes from outside the group. If you are not IN, than by definition you are not able to understand the Truth. And as you do not understand the Truth, they need not to respect you. In the best case scenario they may pity you for your lack of understanding or for not (yet) being “de-programmed”. The group is elitist, claiming a special, exalted status for itself. Only they can understand real Aikido, everybody else is therefore practicing something else and should rename their art. Even though they may not live in the same area or in the same buildings, they do share the same practice and the same ideology and they do come together for occasional or regular training sessions and that makes them a group. But as it is often the case with such groups, it resents being called a group. They much rather prefer to see themselves as individual critical thinkers. But by looking at any conversation any of them has with someone who is not part of their group, one will notice that each individual presents the same or the same kind of arguments. In a discussion with any member of the group, one will often be confronted by an endless repetition of the same arguments, they will use non sequitur fallacies, base their arguments on authority that may not be disputed, refer to a specific way of translating a text leaving out all other possible ways of interpreting it, try to confuse the other by not addressing a valid argument, or by dismissing a proven fact without disproving it, or avoid the real argument by attacking an example or a way of saying. The straw man fallacy is very popular with these groups, as is the Ad Hominem. Their belief system or ideology may refer to certain historical events, a philosophical principle or even to a scientific fact. But at the core it is about their ideological message – they are not historians or philosophers, they are just using elements from it to make their case. To them it makes no difference and if you would be able to point out that a historical fact or a philosophical principle is being misrepresented by them, they will dismiss it as the knowledge comes from outside the group. Usually groups like this do not last. But they can have a negative influence, as the image of Aikido that they spread is misleading. If an inexperienced person with an interest in Aikido comes into contact with a group like that, they will see the group as representative of Aikido. Which means that if they do not like what they experience, they will not go and search for an other dojo, but stop practicing Aikido altogether. Earlier this year I came across someone who was convinced that the attack on Charlie Hebdo in Paris was a conspiracy from the government and did not really happen. He would put photo’s on his website showing what he stated was the editor with his wife during the memorial of the event. I tried to explain to him that the man on the photo was not the editor – the editor was killed during the attack. Furthermore the editor was not married, but did have a lady friend. The man on the photo was a well-known cartoonist that worked for the magazine. He did not believe me. He showed me maps and more photo’s of Paris and talked about the capital of France as if he came there every week. When I asked him how often he had been to Paris, the answer was never. Did he know the magazine Charlie Hebdo ? Did he read French ? On both questions the answer was no. So there was no basis at all for his conspiracy theory ? He told me that I missed the point as I was misinformed, I had let myself be mislead by the French government, but he was a critical thinker and he was showing the world the Truth ! This week I got unwillingly caught up in a discussion with two members of a group that claim that they and they alone practice the real and original Aikido. It reminded me of discussions that I had had with their group some years ago on the internet and of course of the discussion about the events in Paris around Charlie Hebdo. This group strangely enough describe their practice as a mixture of Japanese Aiki jujutsu and Chinese T’ai chi chuan. The founder of Aikido never practiced T’ai chi chuan. And neither did any of the Daito ryu sensei they refer to; they are all practitioners of Daito ryu Aiki jujutsu. So why insist on calling it Aikido, while it is not Aikido that is being practised ? It is one of those contradictions that are typical for these kind of groups. Their point is, not surprisingly, that none of the students of the founder of Aikido practiced or understood Aikido. They dismiss all these Aikido shihan that have helped spread the teachings of the founder since the 1950’s across the world as being frauds. And because they were instructing Aikido in the wrong way, all their students, the next generation, also got it completely wrong. Their conclusion is that they are the only ones that got it right, they are the only ones that practice Aikido as the founder did. And they seem on a mission; they are adamant that everyone who says that they are practicing Aikido, should stop calling it that. If they could they would force them to rename it. It is impossible to have a normal conversation about Aikido with members of this group. Before you realise what has happened they have accused you of all kinds of things; not being intellectually honest, being passive aggressive, bringing forth pointless arguments, and above all stating something that does not come from the writings of the founder, which therefore must be a lie. In reality their argumentation is a garbage bin filled with all kinds of items that are totally beside the point. There is no logical structure in their reasoning and just as mentioned in the general description here above, they come with arguments that are not based on facts. What they see as facts are seldom more than personal interpretations or non sequitur conclusions. Their arguments are too often fallacies. This is not really a dialogue, there is no exchange of ideas, there is in fact no dialectic progress possible – which is odd if the conversation was with a genuine practitioner of Aiki. But the conversation is not with someone who practices Aiki. It is with someone who believes in a Truth, in being Absolutely Right. Therefore the other MUST be wrong, no matter what he brings to the table. The way they express their opinions is by its very nature mentally abusive and hostile. The best way to deal with these kind of groups is avoiding any discussions with them at all. It will only give them a platform to express their views and give them the opportunity to belittle those that dare to go against these views. The hidden agenda is always power and control. Yet the strive for power and control is exactly what holds them down. They do not seem to realise that blowing out someone else’s candle does not make their’s shine any brighter. It is not a way of improving oneself or each other, it is a disruptive and even destructive approach to Aikido. It is the opposite of the philosophy of Aikido. A sincere practitioner of the Way of Aiki does not seek to compete let alone to conquer. He/she understands fully that reality is in a constant state of flux, where it is pointless to hold on to one absolute Truth. As each one of us travels a slightly different road, even when we practice the same Art, our experiences will differ. Over time our understanding will deepen but might be expressed in different ways than others do. To cherish the conviction that you are the only one that understands the Truth is not just a matter of being misguided and ignorant. You are making a travesty of Aikido. Ridiculing others that practice Aikido with dedication and sincerity shows a lack of respect and sensitivity towards others that is at odds with the principles of Aiki. In fact, it is the clearest proof that one does not even has grasped the mere basics of Aikido. Actually, I could have given this article the title: Aikido IS a Martial Art. Both statements carry little significance for me. It sounds to me like saying that Ford, Mercedes, Peugeot and Renault are Automobiles. It is a tautology. Denying that Lada, Mazda, Dacia, Toyota are Automobiles does not make any sense either. They are obviously cars, they have four wheels, a steering wheel, a driver’s seat, and you can drive around in them. By definition they are Automobiles. At most you could make it into a personal statement; “I like a Ford car more than a Toyota”. But from that it does not follow that Toyota is not an Automobile. Or you could say based on your physique that this particular car suits you better. So if you are small, you might choose a Mini or if you are tall you might look for a model that gives a lot of space for your legs. That is a personal choice, it does not follow that all other cars therefore are NOT Automobiles. One could also look at it from a practical point of view. I live in the mountains and the roads are not always that good, some roads may be covered with gravel and small stones, others are muddy. A four wheel drive would be a sensible choice. A sports car would be useless and even dangerous. But again, from that it does not follow that sports cars are NOT Automobiles. Aikido is a Martial Art is a tautology. Of course you can make it into a personal statement; I like this particular style of Aikido. But from that it does not follow that all other styles are NOT a Martial Art. You could choose a style based on your physique; some Aikido styles base their techniques on very little movement, this might suit a heavy build person, other Aikido styles emphasise lots of movement, this might suit a lighter built person more. From that it does not follow that the Aikido styles that you did not choose are NOT a Martial Art. Or you could choose from a practical point of view, say you want to learn self defence. Then you may come to the conclusion that one particular Aikido style will teach you the needed skills quicker or more effective in a short term. But from that it does not follow that all other Aikido styles are NOT a Martial Art. Stating that one Aikido style or another is NOT a Martial Art is not only ignorant, it is usually meant as a derogatory comment. That in itself shows an attitude that is not befitting a true warrior or a sincere practitioner of Aikido. Does this mean that all Aikido dojo and all Aikido instructors are of excellent quality ? No of course not. If you need to bring your car to a repairshop you will find that some mechanics are really dedicated to their profession and have a genuine love for automobiles, but that there are also those that are into it only for the money. I know of a few dojo that are being lead by instructors with very limited experience in Aikido. Someone has given them, probably on their request, a sandan and they feel more than comfortable to teach. For someone who is unfamiliar with Aikido it will look like proper Aikido, it is only the experienced practitioner that can see that the Aikido techniques that are being taught are riddled with “suki” (openings, weak spots). The students of that particular dojo will never realise this, unless they visit a seminar of another sensei or go to another dojo with a more experienced instructor. But these visits are often discouraged by the instructor, so the students will never experience the difference between a genuinely effective technique and what they are practicing. It is regrettable that Aikido is misrepresented like this, but on the other hand it does not seem to prevent the students to having fun with it in their once a week or once a month training sessions. It is the downside of our consumer society, of our fallacy that all people are equal and the same, it is our culture of entitlement and of deskilling people. In our society a successful person is someone who has influence and money. There is no real appreciation for requiring a skill, for achieving a high level of proficiency through dedication and years of hard work, people no longer believe in mastery of an Art. It is not so strange that we have a generation that think it is normal to buy a degree. Dan grades can be bought. Or gotten through political or personal manipulations. The value of Dan grades has been deflated since the start of Aikido and in no way represents the actual skills of the practitioner. We all know that. And yet everyone flaunts his degree as if it is of any importance. In reality it is nothing but marketing. Aikido has become part of that consumer society. Whenever someone states that; “Aikido must be practiced as a martial art”, I cannot help but wonder if this is some kind of personal frustration or that it is a form of marketing. In other words; his Aikido style is a real martial art and the other styles are not. Suppose that there is some validity in the statement; than what does it mean? Is this person training himself or others to go to war ? It could not be a modern war, the skills of Aikido are based on 17th century samurai techniques and they are quite useless on the modern battlefields. Is he talking about Martial art as a sport? Well, except for the hidden competition among instructors and their organisations, and with the exception of Tomiki Aikido, there are no contests in Aikido. In MMA fights we never see an Aikido practitioner in the ring. The simple reason is that no Aikido practitioner in his weekly training sessions knows how to prepare himself for such an event, he lacks the skills, the attitude, the method. Or is with the statement only meant that one should be able to defend himself in case one is attacked on the streets? First of all; how often do you get attacked on the streets? Probably never or not very often. Second; it takes no longer than three – four months of training in basic techniques to be able to effectively defend yourself. Compare this to the time that one needs to learn the basics of Aikido; a minimum of five years. Statements as Aikido is a martial art or Aikido should be practiced as a martial art are utterly meaningless. In order to understand what our genuine aim is when we practice Aikido, we need to study some of the history of the way of the warrior. What we in modern day society see as a collection of techniques that can be bought or can be learned from watching Youtube was in historical times a way of Life. Learning how to fight had only in a very basic way anything to do with techniques. The real skills had more to do with courage, with reasoning, with sensing the intent of the other, with becoming a complete person. And that meant requiring skills that at first sight have little to do with “martial art”. Socrates is in modern times considered as the most important philosopher of his time, the influence of his thinking continues to this very day. In his time he was considered a wise man, a master of skills – not only because of the depth of his thinking, or his extraordinary way of teaching, and his broad knowledge of many subjects but also because of his skills as a sculptor and as a fierce warrior. We see the same in other cultures, the warrior is someone who develops into a whole person with all kinds of skills that benefit himself and his community. He is not someone who is only a “martial artist” (whatever that might mean). One of the most well-known Japanese examples is Miyamoto Musashi, samurai, skilled swordsman, experienced warrior, philosopher, writer, painter, Buddhist. But for the Aikido practitioner the best example is Ueshiba Morihei sensei; mathematician, naturalist, fireman, gardener, philosopher, calligrapher,practitioner of Budo, founder of Aikido. When we consider the life of the founder we see that he is very much a warrior in the tradition of his ancestors. His daily training in Budo is intense, strenuous, physically demanding, and a continuous process of discovery. He follows the ancient samurai lifestyle. It is a simple lifestyle. Part of his daily routine is studying the Classics. At any given moment his students would find him somewhere in his house or in the garden with a book in his hand. He enjoyed working in his garden, which provided food for him and his family and students (Gardening is a traditional samurai skill, each samurai needed to be able to provide for himself, his family and his community). His spiritual practices were also part of his daily regime. That meant that he would visit shrines and temples, attend Shinto and Buddhist ceremonies, bring offerings and prayer to kami sama. All this was what he called Aiki. Or Aiki no Michi. He did not explain Aikido merely as a fighting skill. He explained it as a way to become a complete person, as a way to connect with nature, as a way to better society, as a path to wisdom, as a path of empathy and reconciliation, even as a bridge to peace and harmony. More than ever we need instructors that have the dedication and inspiration to teach Aikido as a way of life, not as a method of fighting (or as a way of making money). It is in that sense that I state that Aikido is NOT a martial art. There is a saying in Budo that translates as “Enter form, exit form”. The phrase refers to the process of learning that we go through during our journey along the path of Budo. When we walk into a dojo for the first time we are trying something new, something that we have not experienced before. We are “shoshinsha” – beginners with an openness and willingness to learn, and a certain naturalness in our movements but without form. Once we start training we learn a variety of techniques and variations, physical exercises, as well as breathing and meditation methods. We are in the process of entering the form. Gradually we are more and more skilled in the techniques and all of its variations. When during an exam a name of a technique is called we can perform the technique without hesitation. But then, after years of dedicated training, we suddenly realise that all that we have learned is nothing but a vast amount of techniques and its variations. We have been accumulating forms. And while doing that we have lost the sense of naturalness that we had as shoshinsha. It is here that we begin to realise that there is a higher degree of understanding, and we start to see how we can free ourselves from mere form. Simple things that we thought we understood start to get a deeper meaning, basic techniques are realised as part of something new and different. In fact the whole art gets a different and deeper meaning. We have exited the form and have returned to the original state of naturalness that we had as shoshinsha.